I'm not super excited about Valentine's Day, perhaps because I am currently nursing a tyrannical six month old who won't let anyone watch him for more than 20 minutes. Or because my husband traditionally doesn't even notice it's Valentine's Day until after I glower at him for a couple of hours. Roo is pretty excited since she's in preschool and actually cares about her classmates this year. There are crafts to be made and treats to be purchased! Of course, 3 and 4 year olds don't necessarily appreciate the traditional VD snacks– conversation hearts don't taste good and aren't particularly funny for non-readers, chocolates are expensive and messy. You know what the little tykes really think is cool? Fruit leather. Fruit Roll-Ups double as a tasty snack and as an activity. Kids love to stretch them, peel them, cut them, lick and stick them… but there is something new in the world of fruity treats: My Fruit Roll-Ups can now be personalized! That's right, for $29.99* plus shipping, you can have 30 of them printed with your kid's name, a secret message, party invitation, whatever. There is even a handy clip art library you can use to emblazon the fruit leather with cute icons and holiday motifs. Roo's Valentine Fruit Roll-Ups are going to have "purr-fect" kittens, "valen-stein" monsters, and a personalized message. How fun is that? To enter and win your own personalized carton of My Fruit Roll-Ups, simply comment on this post below and tell me about the sweetest Valentine you ever sent or received. There are three cartons to give away! Entries will be accepted through February 2nd. US readers only, please. Make sure you leave an email address or that you have one accessible on your blog so you can be contacted if you win! If I can't find your email, I will pick a new winner. PLEASE MAKE SURE YOUR BLOG PROFILE IS SET TO PUBLIC AND THAT THERE IS AN EMAIL AVAILABLE ON YOUR BLOG OR LEAVE AN EMAIL ADDRESS ALONG WITH YOUR COMMENT!!! Only one entry/comment per person, please. 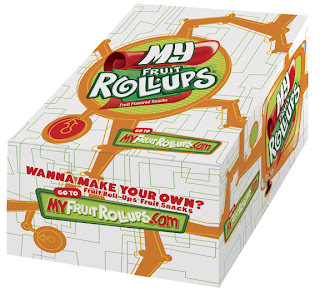 *receive $10 off your purchase with code "BEMINE"
We love my fruit roll ups, they are a great snack for kids. not to mention they are great for putting in lunch boxes, taking on field trips or just having some in the car for a road trip. My husband actually gave me a Palm pilot one year. I know it doesn't sound romantic, but I don't like cut flowers so this was a perfect gift for me. The best Valentine’s I’ve ever gotten were from my dad. He’s my ’step-father’ but he raised me since I was a small child and has always been my Daddy. We had a rocky time when I was a teenager because he just didn’t understand me - a bookish girl. He’s very quiet and was never overly affectionate or loose with words. Thats why when I get a simple card with “I Love you Taryn, Dad” written inside it means the world to me. When he says “I love you” his voice changes and I know he really really means it. I have the best daddy in the world. We don't do V-Day, but I still wanted to comment and say hey! It's been a while...I've got a lot of reading to do. Last time we chatted that 6 month old was still in your belly! Ummm, I think I'm in the same boat as you b/c even though my husband THINKS he's romantic, there hasn't really been any real romantic gestures in our 18 years of marriage. I'd have to say my most memorable Valentine's was in 2002 - I had a one week old and three parties to attend to for my other 3 kids. People thought I was crazy but I did it and was able to show off our new Valentine! I was in second grade a new boy (he just joined the class a few weeks earlier) who was learning english made me a personal valentine That read "You sweett. I lik you lot Moreen" Would have been perfect if he had got my name right! I remember his last name was Brown and he was so shy when he gave it to me. I had a boyfriend in highschool who made me a card (8x10) of glued together sweethearts, all white! It lasted for about 10 mins but it was super sweet. My husband bought me a book called '10,000 things to do before you die' and inside he wrote that since I had lost so much weight (over 200lbs) I had a new lease on life and he thought we could do some of the things together now. It was so sweet. I honestly can't think of a single thing and our fourteenth wedding anniversary is this year. What a cute idea! My husband always gives me the best Valentine cards, with long wonderful notes about the past year and how our love has grown. Usually there is a frappucino and a bagel accompanying it (which I love). He is amazing. I forgot to leave my e-mail address in the last comment...sorry! How sad. I can't remember one great valentine that I've gotten or received. My hubby does lots of great things for me but Valentine's Day is one holiday that we don't do more than exchange cards. I'd still love to win though! This is a fab idea. My kids would love it. 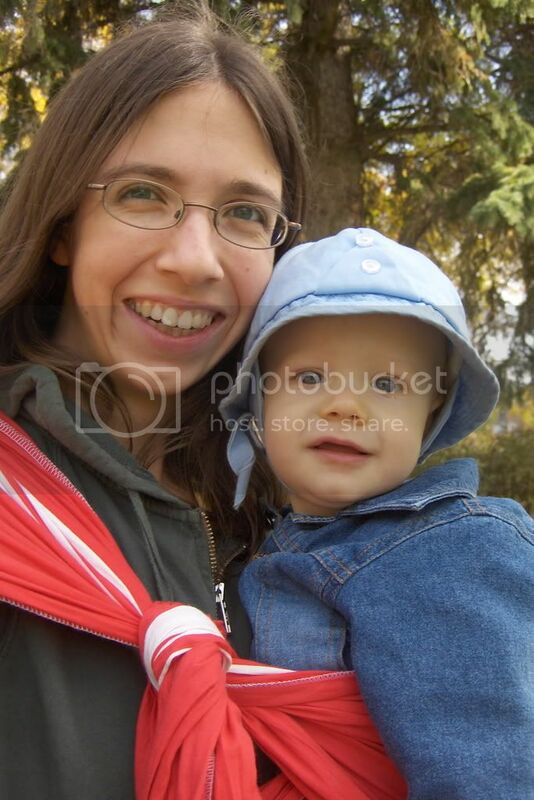 The best valentine that DH and I ever got was our son to be's US Visa arriving in the mail- we knew that we were one step closer to becoming parents after 5 long years of trying and then deciding to become parents through adoption=). It was also the day of our nursery painting party- a double reason to celebrate! jbubolz-miller@hotmail.com Forgot to leave it. My husband always buys roses and cooks for me on Valentine's Day! One of my favorite Valentines was a pretty simple one, but sweet. My husband was out of town for a job, so i was looking to have a pretty boring Valentines Day. Well he planned ahead and wrote a really sweet poem and had his sister buy some flowers and dropped them off on our door step. It was so sweet and it surprised me. It's nice to see when they put forth effort and thought into it. Last V-day, my son made this huge red heart out of construction paper and had his name on it, etc... When he brought it home from school he walked up to me and said - Mommy, I give my heart to you. my hubby always does super sweet thngs every year for me so I can't pick one. While I was taking a shower, hubby wrote "I LOVE YOU" in the fogged up mirror. It was sweet to find that when I got out of the shower. I haven't gotten a good one in a long time.. but the best one I ever got was three dozen purple roses (my favorite) for my 16th valentines day. It wasn't so much the roses that were sweet it was the fact that my friend saved for them for months to buy them. One year, we were going through a "rough patch" and I really didn't think DH was going to get me anything, but he surpised me with a Precious Moments figurine (which I collect) that represented the sayin "This too shall pass"
It meant alot to me at that time, and things did get better soon after! I've been trying to think of one but I can't, but recently my nephew (who is four, almost five) got two pieces of candy (witch he doesn't get often) from his grandpa but when my sister came in and he very politely gave his second piece of candy to her which I thought was so sweet of him. My sister pop popcorn for him all the time.